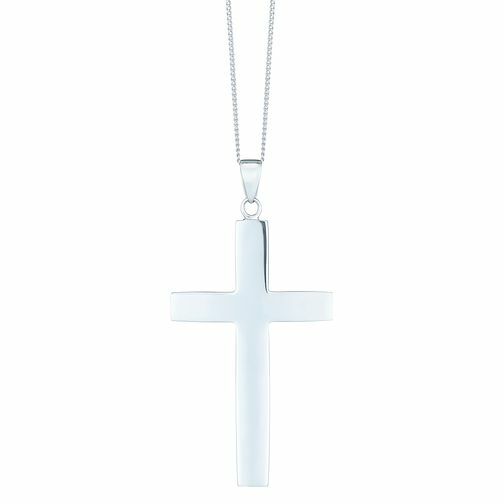 Give a classically elegant gift, with this sleek sterling silver large cross pendant set on a fine chain. Pure and simple sophistication. Sterling Silver Plain Large Cross Pendant is rated 4.2 out of 5 by 5.